PharmaFreak Ripped Freak 2.0 Fat Burner is a hybrid fat loss supplement which helps to combine a range of actions to offer you the ultimate fat burning formula. Considered one of the strongest formulations in the industry, Pharmafreak Ripped Freak Fat Burner helps to mobilize fat tissue to be shuffled into parts of the body to be used as energy. In addition, certain ingredients in the supplement will help to supercharge your overall metabolism for maximum fat burning. The concentrated fat burner will also help to enhance energy levels throughout the day so you can stay sharp and focused on your diet and your training. 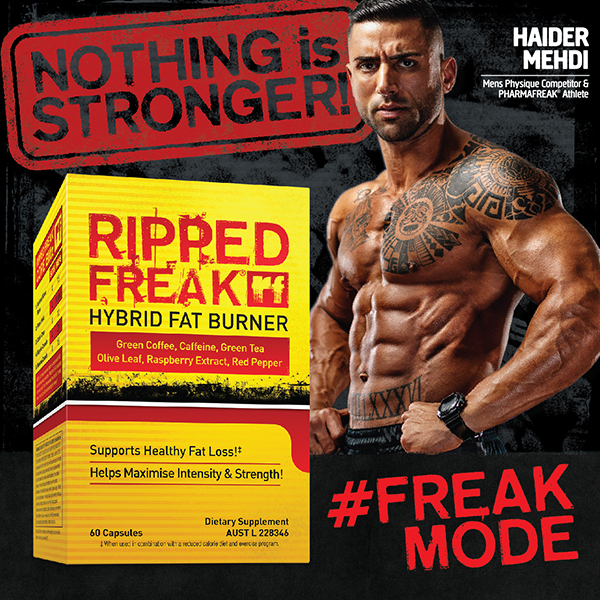 Get the next generation in fat burners with Pharmafreak Ripped Freak Fat Burner. This is arguably the best fat burner I have tried. Felt a major difference in my energy levels and found I was just able to use it as a pre workout when taking on an empty stomach in the morning. Definitely noticed a drop in weight and about an inch off my waistline. Seemed to help reduce appetite a bit as well as sweet cravings. Phenomenal! Nothing else to say. Phenomenal! I have been known to be a little sensitive to caffeine wouldbthis affect me ? Does it contain a lot of caffeine ? I am currently fasting and having one meal a day. Would consuming this brake my fast? 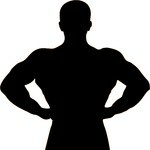 What is the carb content per tab? No it shouldn't break your fast. Ripped Freak also doesn't contain any carbs. What is the total caffeine content per capsule? Each capsule contains approximately 200mg. Your current stack is fine, however if you are considering adding PharmaFreak Ripped Freak I would suggest you either take the Bsc Hydroxy Shred or Ripped Freak, don't take the two products together. So if you like, you can drop the Hydroxy Shred and replace it with the Ripped Freak. My wife who trains was wondering if she can take PharmaFreak supplements. Yes she can take PharmaFreak supplements. Calcium Hydrogen Phosphate, Cellulose-Microcrystalline, Crospovidone, Magnesium Stearate, Silica - Colloidal anhydrous, Croscarmellose Sodium, Gelatin, Water-Purified, Titanium Dioxide, Tartrazine, Erythrosine, Brilliant blue FCF. Read the entire label and understand all warnings before us and follow the directions. As a dietary supplement, take 1 capsule of Ripped Freak with an 236mL glass of water on an empty stomach, first thing in the morning before breakfast. This food is not a sole source of nutrition and should be consumed in conjunction with an appropriate physical training or exercise program. Not suitable for children under 15 years of age or pregnant women. Should only be used under medical or dietic supervision.